Muammar Gaddafi became the de facto ruler of Libya in 1969 after a military coup. 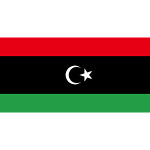 In 1977, he proclaimed the Socialist People's Libyan Arab Jamarihiya. Two years later, he was designated the Brotherly Leader and the Guide of Revolution. Gaddafi's regime was overthrown during the Libyan Civil War, also known as the Libyan Revolution, which is considered part of the Arab Spring. The revolution started with protests in the city of Benghazi on February 15, 2011. However, it is February 17 that is considered the official start of the war. This day is often referred to as Day of Rage. On February 17, 2011, armed protests took place in Benghazi, Zintan, Derna, Bayda, and Ajdabiya. They were held in memory of the 2006 demonstrations in Benghazi dedicated to the Muhammad cartoons crisis. The Libyan Civil War lasted for more than eight months. Muammar Gaddafi was captured and killed on October 20, 2011. Three days later, the war officially ended. The anniversary of its beginning was declared a public holiday in the State of Libya.